* If You Have Been Looking For The Perfect Toy To Truly Enjoy Non-Stop Fun & “The Ultimate Driving Experience” THIS IS IT ! *No Need To Keep Searching Relentlesly For This ULTRA RARE Professionally Modified Combination, This Is Literally THE 1! ** M-SPORT PACKAGE! 6-Speed Manual! LOADED & Very RARE! * OVER $8k In Quality Professional Aftermarket Modifications! * NO ACCIDENTS – ALWAYS SERVICED! *NEW OEM ROTORS & PADS WITH UNDER 2,500 MILES! *LESS THAN 2,500 MILES ON CONTINENTAL TIRES! * Excellent Condition Throughout! This Little 135i is NO Joke With Over 400Hp! 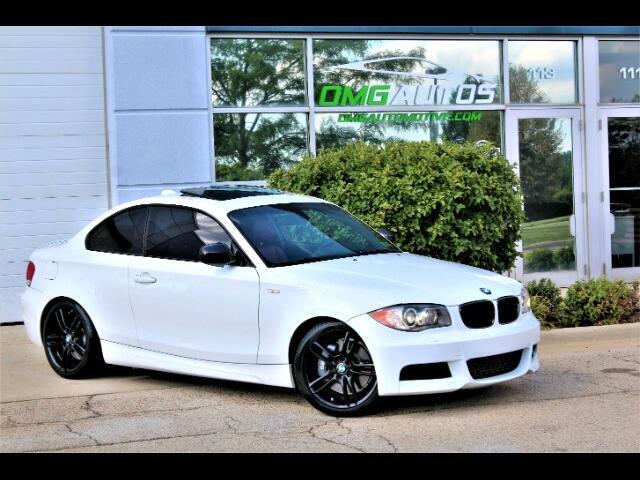 ** Don't Let The Mileage Fool You: This is a Truly Gorgeous, Very Well Maintained & Documented, Professionally Modified Alpine White on Coral Red 6-Speed Last Of The 135i M-Sport Twin Turbo's! ** We Would Be Happy To Assist You With The Shipping Of Your New Vehicle Around The Globe ! !